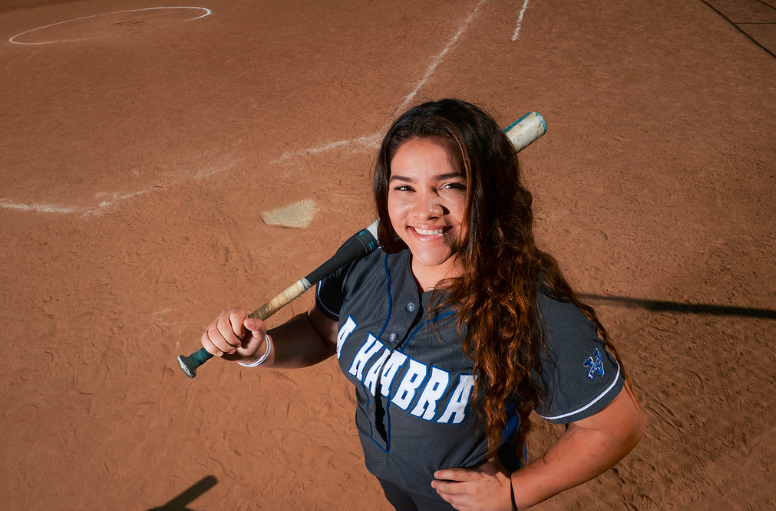 La Habra’s Janelle Rodriguez began the season as one of the top dual-threat players in the area. An injury took away part of her game halfway through 2016, but like most elite athletes, she found away to adapt, helping the Highlanders become one of the top teams in the state. 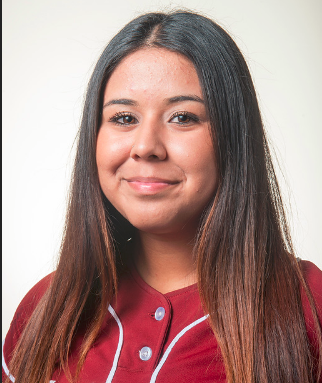 For her efforts, Rodriguez is 2016 Whittier Daily News softball player of the year. 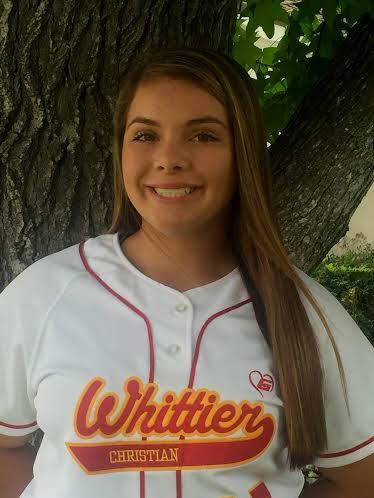 The junior, who has committed to Cal State Fullerton, did that often this season. 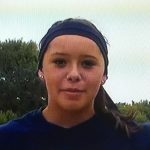 Before re-suffering a back injury, she was one of the top pitchers in the area, winning 11 of 12 games with a 1.44 ERA. She also had 71 strikeouts in 63 innings. 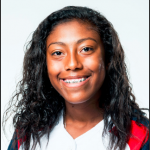 But after the injury pushed her out of the circle, she still found a way to contribute, hitting .321 with 14 RBIs. 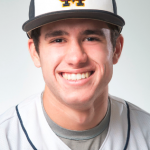 Rodriguez also had some big hits to keep the Highlanders ranked in the state top 5 for much of the season. “I knew I couldn’t make it (in the circle) to help my team,” Rodriguez said. “But we had Hannah Johnson and Harley Wells (to step in), They both were amazing in the circle for us. They kept (the scores) down. I knew since I couldn’t make it work (in the circle), I had to come up with my bat and on the field, playing third. I pretty much stuck to what I was taught (and performed). 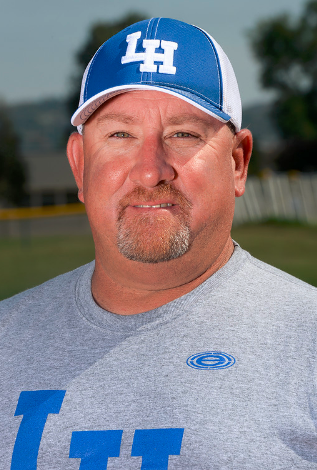 Rodriguez came up big in the playoffs to help La Habra advance to the CIF Southern Section semifinals for the third time in five seasons, but their first since 2013. 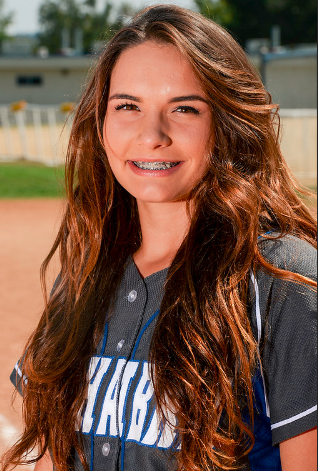 She had a home run and four RBIs in an 8-4 victory over Redlands East Valley in the second round. The Highlanders, who lost in the Division 2 semifinals to Valley View, enjoyed one of their better seasons, finishing 29-2, with 26 consecutive victories and another Freeway League title. They also were ranked No. 7 in the state by MaxPreps.com. “This season was unforgettable,” Rodriguez said. “It was my best season. Our team chemistry was amazing. Overall, it was amazing. 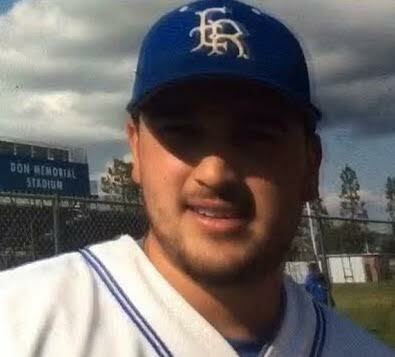 Steve Harrington was the X-factor for the La Habra High School softball team this season. Harrington, in his first season with the Highlanders, took over one of the top programs in the area and transformed it into the one of the best of the state. La Habra finished 29-2, won the Freeway League title and advanced to the CIF-SS Division 2 semifinals. The Highalnders, who won 26 consecutive games before being eliminated at Valley View in late May. They were ranked in the state top 10 for much of the season before finishing at No. 7. by MaxPreps.com. 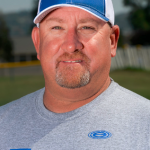 For his efforts, Harrington in Whittier Daily News softball coach of the year. “It was an incredible run,” said Harrington, who won a Division 2 title at El Modena in 2008 and a Division IV title at Chaminade in 1999. “The girls really transformed from what they were (in 2015). They really took to the system, played very well and played their hearts out. I was really proud of their accomplishment. Johnson began the season as the Highlanders No. 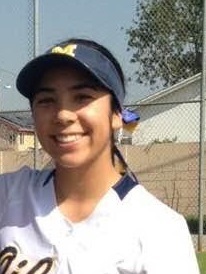 2 pitcher but took over ace duties when a back injury limited Janelle Rodriguez. 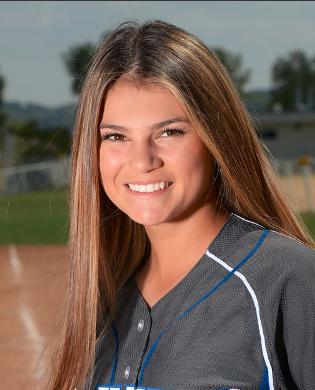 She didn’t let down, going 14-1 with a 0.98 ERA to help La Habra to the Freeway League title and advance to the CIF-SS semifinals. 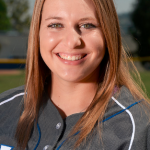 She also had 92 strikeouts in 100 innings and was All-Freeway League. Leonard helped the Swordsmen to another solid season, which included a second-place finish in the tough Del Rey League. She went 12-5 with a 2.29 ERA. 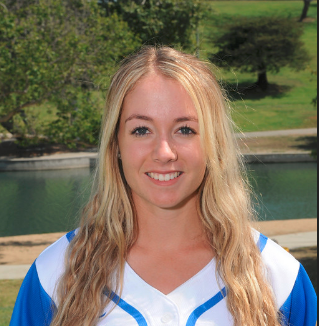 The senior had 97 strikeouts in 107 innings and beat rival Bishop Amat twice. Offensively, Leonard hit .300 with 10 RBIs and six doubles. She was first team All-Del Rey League. Butler, who signed with New Mexico State, was the glue that held the Highlanders together. 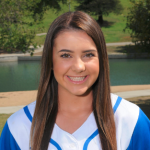 She played a big role in La Habra being ranked in Cal-Hi Sports top 10 for much of the season en route to winning the Freeway League title and advancing to the CIF-SS semifinals for the third time in five seasons. She hit .321 with 16 RBIs and did not make an error. She was first team All-CIF-SS Division 2 and Freeway League MVP. 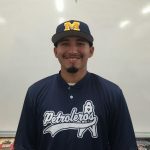 Alvarez was one of the top hitters in the area and played a pivotal role in the Oilers winning the Almont League title and being one of two area teams to reach the CIF-SS second round. The junior hit .468 with 34 RBIs and scored 36 runs. She led the area with 10 home runs. She had 28 extra-base hits. Alvarez was first team All-CIF-SS Division 5. 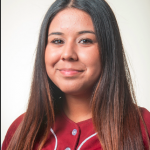 Meijia, one of the few holdovers from the Lancers’ 2015 CIF-SS championship team, was solid offensively and helped La Serna rebound from a slow start to win nine of their final 13 games to make the playoffs and finish second in the Del Rio League. Meija hit .412 with 23 RBIs and scored 11 runs. She also had 14 extra-base hits, including nine doubles. Montesdeoca led the Condors to their first league title in three seasons. She hit .446 with 15 RBIs and scored 14 runs. The junior also four doubles as the Condors went 16-13. They lost in the first round of the Division 3 playoffs. Montesdeoca was All-Del Rio League. Bogdanovich played a big role in the Matadores earning a piece of the Suburban League title, La Mirada’s first since 2012. The sophomore, who also had some big clutch hits, hit .393 with 18 RBIs and scored 20 runs. She also had 11 extra-base hits, including five home runs. 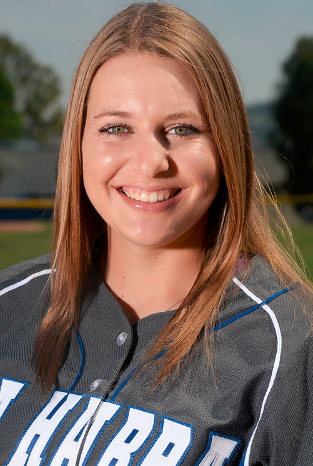 Bogdanovich was first team All-CIF-SS Division 3. Cauley was the engine that made the Highlanders go and helped La Habra to the CIF-SS semifinals. She hit .479 with 18 RBIs and 17 stolen bases. 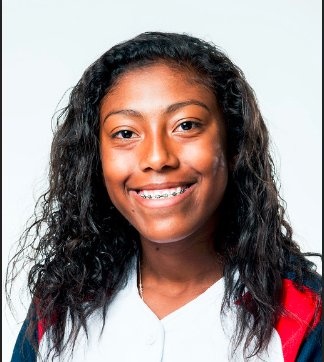 The junior went 3 for 3 with three stolen bases and scored three runs in a 4-2 win over Rio Mesa in the quarterfinals. 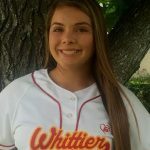 She was first team All-CIF-SS Division 2 and first All-Freeway League. 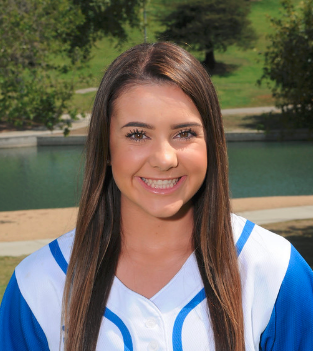 Barrow was part of the Matadores’ triple-threat, which also included Madison Bogdanovich and Marissa Velez. The trio paved the way for La Mirada to finish 17-13 overall and 9-3 in league play. She keyed one of the area’s best offensive attacks, hitting a team-high .407 with 10 RBIs and scored 21 runs. She was All-Suburban League. Carter filled the gap left open from 2015 graduations to help the Swordsmen to the playoffs. St. Paul finished second in the Del Rey League behind rival Bishop Amat, but it won 2-1 in the season series. Carter’s contribution was a .456 batting average to go along with 18 RBIs and scored 22 runs. 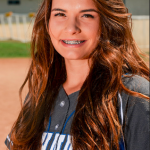 She had nine extra-base hits and was first team All-Del Rey League. 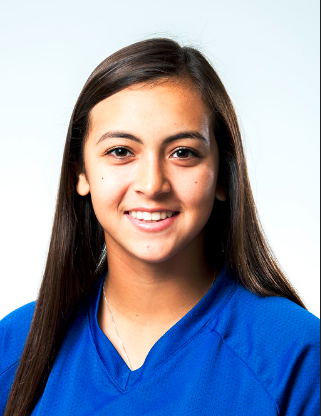 Gallegos had a break-out year in her first high school season. 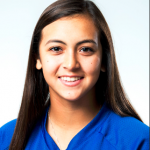 The freshman, who has already committed to Texas A&M, hit .519 with 23 RBIs and scored seven runs. She also had nine extra-base hits, including six doubles and she struck out just three times in 62 trips to the plate. 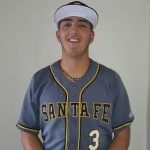 Pitcher: Analyse Garcia, Santa Fe, So. 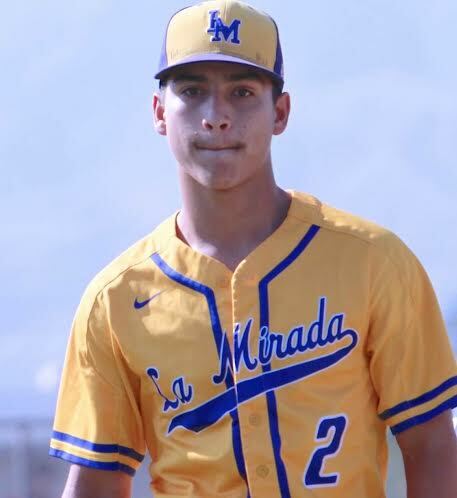 Pitcher: Alexis Bonilla, La Mirada, So. 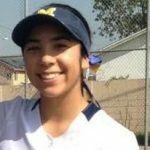 Catcher: Jaclyn Macias, Cal, Jr.
Infielder: Janessa Lozano, El Rancho, Sr.
Infielder: Jeanelle Medina, Santa Fe, Sr.
Infielder: Chelsea Purcell, Sonora, Sr.
Infielder: Sienna Perez, Schurr, Jr.
Outfielder: Anjelica Lopez, La Serna, Sr.
Outfielder: Samanatha Rivas, St. Paul, Jr.
Outfielder: Marissa Velez, La Mirada, Jr.
Utility: Frankie Martinez, La Habra, Sr.
Tatum Anzaldo, St. Paul, Fr. 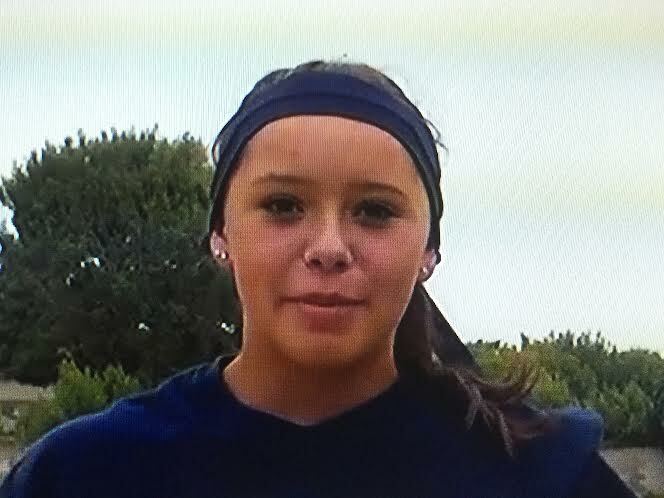 Sydney Kreimann, St. Paul, Sr.
Alexiss Ponce, Santa Fe, Sr.
Cantwell-Sacred Heart of Mary High School enjoyed a season for the ages this spring. The Cardinals’ success, which included going 28-5 and advancing to the CIF Southern Section divisional finals for the first time in school history, was created by several factors. 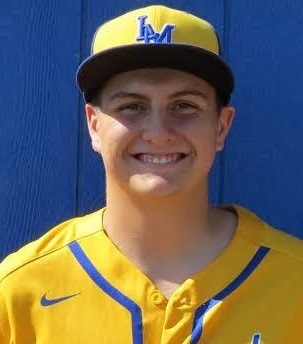 But none more important than the emergence of senior Andrew Quillen, who was solid on the mound and at the plate and helped keep together a youthful group through unchartered waters. 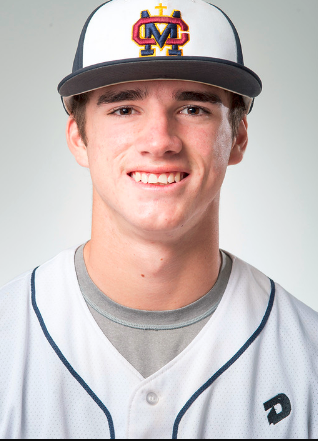 For his efforts, Quillen is Whittier Daily News baseball player of the year. “He just grew and grew and grew,” said Larry Patino, who coached CSHM the past three seasons before moving to Warren after this season. “As far as chemistry, he was kind of the clown on the team; the guy that kept everything loose. It was a long road to become the team’s ace and leader. It started with a troubled sophomore year where he had to adopt to Patino’s coaching style. It continued despite missing all of last season because of an injury. “It was hard,” Quillen said. “I couldn’t pitch all year and I felt if I could, we could have won a couple of more games. This year, I was able to pitch and I kind of proved that. He shined this season. He got some key wins against St. Monica and Mary Star during the league season and got CSHM’s playoff run going with a victory in the opener. He was also solid offensively, arguably the Cardinals’ second most-productive hitter. He batted .373 with 22 RBIs and scored 13 runs. He was a key part of CSHM’s late-season run, which included winning 13 consecutive games to advance to the school’s first title game, which it lost, 11-0, to No. 1 seed Woodcrest Christian. 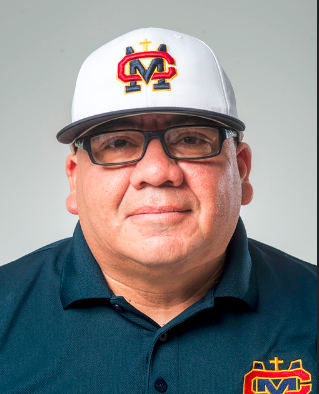 Patino, who recently resigned to become the co-head coach at Warren, changed the culture at CSHM, taking the Cardinals to the CIF-SS playoffs each of his three seasons. This spring was the best of all. The Cardinals went 28-5, won their second Camino Real League title in three seasons and advanced to the CIF-SS finals for the first time in school history. CSHM recovered from a mid-season loss to league rival Bishop Montgomery to win 13 consecutive games to reach the Division 5 title game, losing to No. 1 seed Woodcrest Christian. The Cardinals also defeated eight league champions en route to the championship game. For his efforts, Patino is Whittier Daily News coach of the year. “As a coach, I’m really proud of the season my guys had,” Patino said. “As a group, it was a roller coaster from the summer to the end of the season. 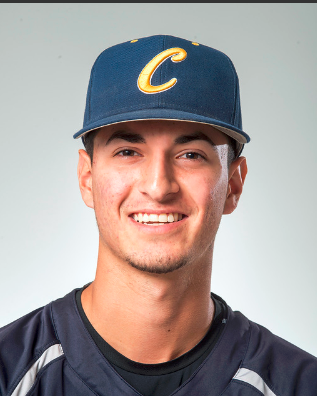 Farmer was part of the Condors one-two punch on the mound that keyed Cal’s run to a share of their fifth consecutive Del Rio League title and a third consecutive trip to the CIF-SS quarterfinals. He went 7-3 with a 1.03 ERA. The senior also had 73 strikeouts in 61 innings. 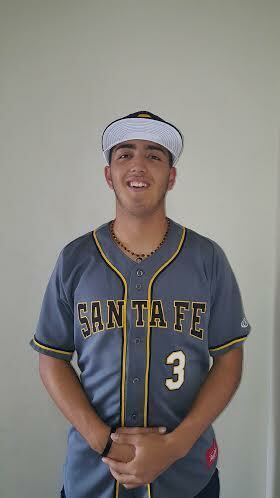 He was first team All-CIF-SS Division 4 and first team All-Del Rio League. 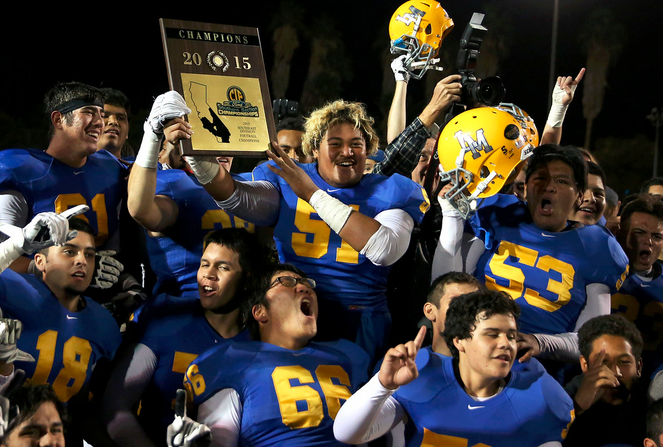 Dumser was dominant in helping the Matadores to a 23-8 record, a Suburban League title and the CIF-SS quarterfinals. The senior went 9-2 with a 0.83 ERA. He also threw a no-hitter against Lakewood in March. Dumser was first team All-Suburban League. Thomas was part of the big three — brother Zachary and Quillen — for the Cardinals, who put together arguably the best season in the program’s history. 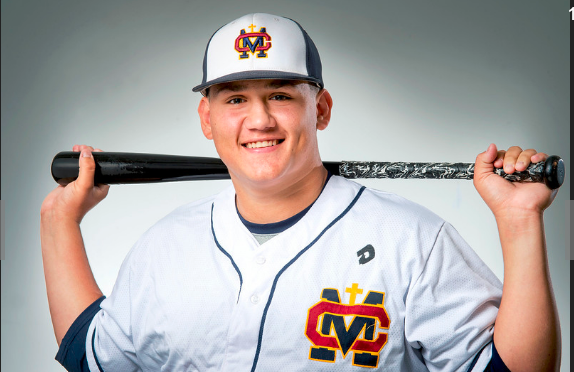 He hit .422 with a team-high 24 RBIs and scored 25 runs to help CSHM win its second Camino Real League title in three seasons and advance to the CIF-SS divisional finals for the first time, losing to Woodcrest Christian. Thomas was first team All-CIF Division 5 and All-Camino Real League. 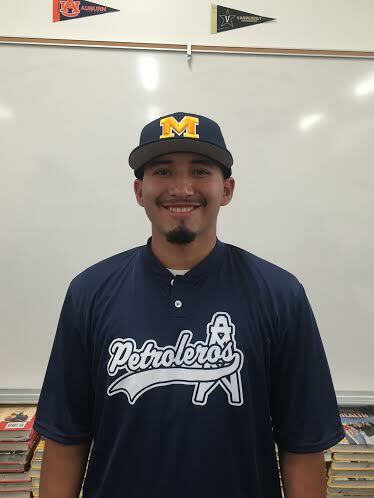 Macias transferred to the Oilers from Mexico and made an immediate impact to help Montebello win its second consecutive Almont League crown and advance to the CIF-SS divisional semifinals for the first time in four decades. He hit .509 with 21 RBIs and scored 17 runs. The first baseman also had 11 extra-base hits, including seven doubles. He was All-CIF-SS Division 4 and first team All-Almont League. Velasquez was a double threat for the Oilers, who won their second consecutive league title and advanced to the CIF-SS semifinals for the first time in four decades. 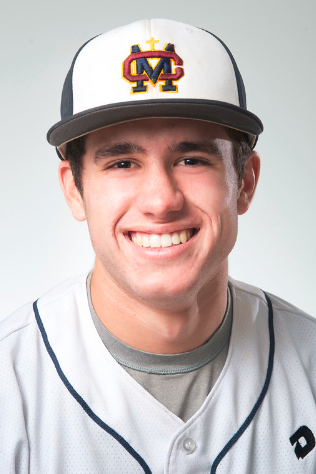 He was one of the area’s better pitchers, going 10-2 with a 2.14 ERA and had 72 strikeouts in 75 innings. Offensively, he hit .372 with 16 RBIs and scored 10 runs. He also had nine doubles. He was All-Almont League. 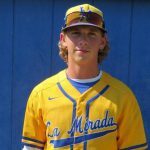 Kendall showed why he is a UCLA commit while helping La Mirada to the CIF-SS quarterfinals for the second time in three seasons. 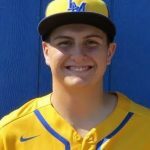 He hit .453 with 30 RBIs and scored 28 runs to help the Matadores go 23-8, which included winning the Suburban League title. He had eight extra-base hits, including four triples. 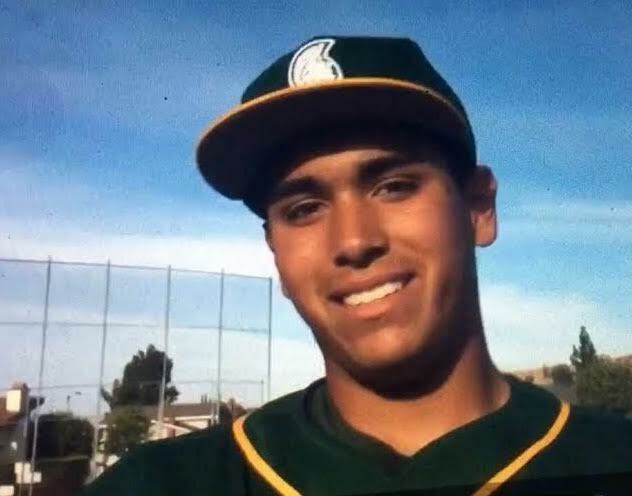 He was first team All-CIF-SS Division 2 and first team All-Suburban League. Thomas, like his brother and Quillen, played a big role in the Cardinals winning their second league title in three seasons and advancing to the CIF-SS finals for the first time in school history. Thomas hit .447 with 21 RBIs and scored 22 runs. He also was a solid option on the mound. He was first team All-Camino Real League, helping CSHM to a 28-5 record. 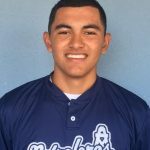 Sanchez helped the Spartans to another solid season, which included a second-place finish in the Almont and a spot in the CIF-SS playoffs. He hit .391 with 29 RBIs and scored 21 runs. Sanchez also had 16 extra-base hits, including 10 doubles. He was first team All-Almont League. Fuentes keyed the Dons run to the quarterfinals for the second time in four seasons. 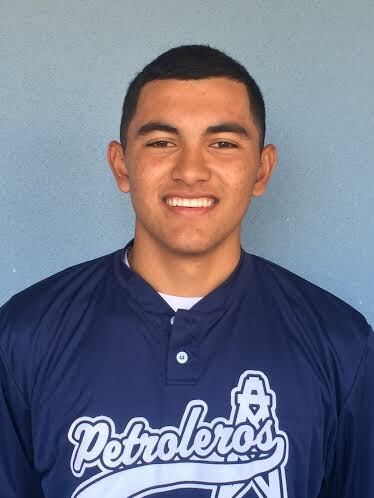 He is the all-time career wins leader at El Rancho with 21 victories after going 10-4 with a 1.58 ERA. He hit .281 with 13 RBIs and scored eight runs. He also had 14 extra-base hits, with 12 doubles. Santa Fe enjoyed its best season in two decades and Lucia played a pivotal role in the Chiefs earning a share of their first league title since the early 1990s and advancing to the CIF-SS quarterfinals. On the mound, Lucia went 8-2 with a 1.25 ERA. He also hit .364. 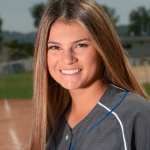 Lucia was Del Rio League MVP and first team All-CIF-SS Division 4. 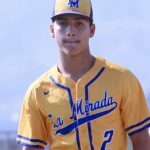 Gonzalez was a dual threat for the Matadores, who won the Suburban League and were one of six area teams to advance to the CIF-SS quarterfinals. He was solid on the mound and at the plate. Offensively, Gonzalez hit .443 with 16 RBIs and scored 19 runs. He was part of a one-two punch on the mound with Dumser. Gonzalez went 7-1 with a 1.14 ERA. He also had 62 strikeouts in 54 innings. He was Suburban League MVP. Pitcher: Jake Johnston, Cal, Sr.
Pitcher: Michael Corona, Schurr, Sr.
Catcher: Adam Rubio, Montebello, Sr.
Infielder: Daniel Jung, La Mirada, Sr.
Infielder: Javy Espinoza, Cantwell-Sacred Heart of Mary, Fr. 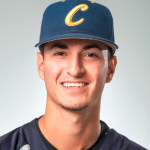 Infielder: Elijah Vasquez, Cantwell-Sacred Heart of Mary, Jr.
Infielder: Zach Pentikoff, Santa Fe, Sr.
Outfielder: RJ Lan, La Mirada, Jr.
Outfielder: Chad Wilson, La Mirada, Jr.
Outfielder: Christian Alvis-Labadie, Whittier Chr., Sr.
Utility: Dylan Villalobos, Sonora, Jr.
Trevor McGee, Whittier Christian, Sr.
Zack Stack, La Habra, Sr.
Jason Vela, El Rancho, Sr.
Ruben Rios, Cantwell-Sacred Heart of Mary, Jr.
Luis Aguilar, Santa Fe, Sr. The CIF Southern Section released its new playoff division groupings for the 2016 football season Thursday. Below is where area teams were placed. The CIF-SS also released playoff groupings for girls volleyball, boys water polo and girls tennis. 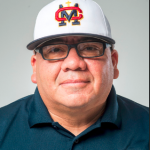 RIVERSIDE >> Cantwell-Sacred Heart of Mary’s quest to win its first CIF Southern Section baseball title will have to wait for another year. 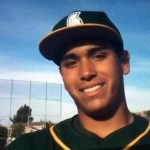 Branden Boissiere gave up one hit and struck out 10 in 5 2/3 innings to lead top seed Woodcrest Christian to an 11-0 victory over the Cardinals in the Division 5 championship game Saturday at UC Riverside. Wesley Scott had three hits and two RBIs and David Garman had three hits and an RBI for the Royals, who finished 29-5. They scored their fourth title since 2000. 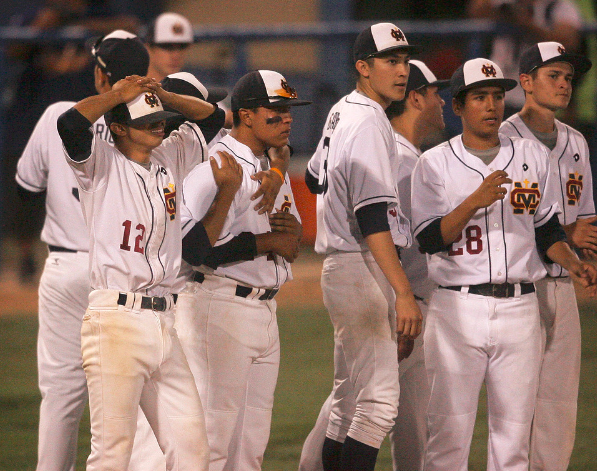 Woodcrest Christian outscored its five playoff opponents 33-5. CSHM, which was held to one hit, finished 28-4. The Cardinals, who were not seeded, were in a divisional final for the first time. “We had a great season,” CSHM coach Larry Patino said. “We fought and fought and our boys showed up every game. I’d be lying if I said we had a good shot at winning this. Woodcrest Christian started quickly, getting three singles for a 1-0 lead in the first. Pitcher Andrew Quillen looked like he might get out of it, striking out Jordan Keller for the second out. But Garman followed with a ground-ball single to score Boissiere for the lead. The Royals had four consecutive hits to push it to 4-0 in the fourth. Garman led off with a single before scoring on a double to right-center field by Gabriel Ramos. Brandon Cody then made it 3-0 with a triple to left-center field before Justin Cross singled with the infield playing in for the four-run lead. Boissiere took care of the rest. 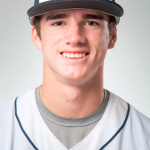 The sophomore, who finished the season 5-1 with an ERA under 1.00, gave up a double to Jared Thomas to start the game before retiring 12 of the next 13, finishing the first three innings with seven strikeouts while using 38 pitches. He retired 10 consecutive batters before Elijah Vasquez walked with two outs in the fourth. Boissiere then induced Zachary Thomas to fly out. Woodcrest Christian pushed it to 6-0 in the sixth. Cody and Evan Castillo had singles before Trevor Berl singled with two outs for a 5-0 advantage. Boissiere, who also had two hits and an RBI, followed with a bloop single to make it 6-0. CSHM, which upset No. 2 seed Paraclete in the quarterfinals and beat Citrus Hill in the semifinals, had one look at the game. The Cardinals loaded the bases in the sixth on three walks, with the first two forcing Boissiere from the mound. But reliever Adam Zellers induced Zach Thomas to pop out to first to end the threat. The Royals pushed it 11-0 in the seventh. Berl and Castillo had RBIs before Scott had a two-run double. The fifth run came in on a fielding error. Woodcrest had 16 hits off three CSHM pitchers. “We’ve talked about how we are a team of destiny,” Patino said. “Down 6-0, we loaded the bases. If it was God’s will, we get a base hit there and something good could have happened. Jasher Foster, St. Francis 7th 14.46.